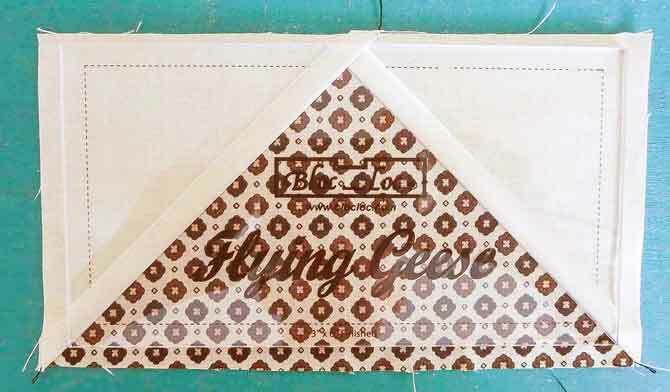 Yesterday I showed you how to make a Flying Geese block, and in the process, create 2 half-square triangles. Now I’ll show you how to use the Bloc-Loc ruler which makes squaring up the block which makes it easy, precise and fast. Square-up the Flying Geese block so it measures 3½” x 6½”. I like to use the Bloc-Loc® Flying Geese ruler to do this. The grooves on the ruler fit right into the seams. Using a rotating cutting mat also helps when squaring up these blocks. 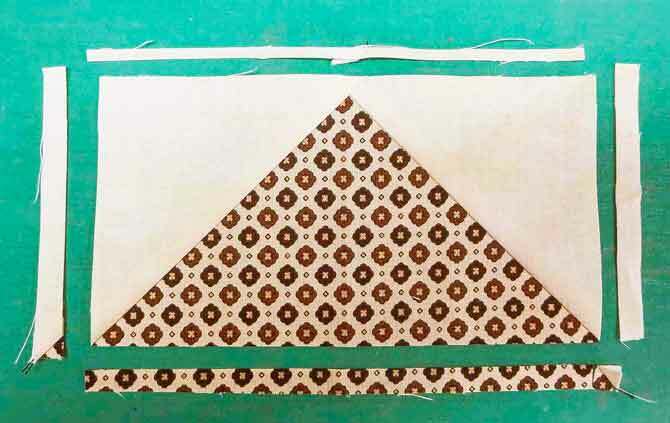 Square-up the half-square triangles so they measure 3″ x 3″. This is the size you get when making a 3½” x 6½” Flying Geese block using the method above. You’ll have a different size half-square triangle if you’re making different size Flying Geese blocks. There’s also a Bloc-Loc ruler for squaring-up the half-square triangles. Again, the groove on the ruler fits right into the seam to create accurate squares. Of course, you can use your own favorite method for squaring-up these units if you wish. Now you know how to use the Bloc-Loc ruler for squaring-up 2 different shapes. 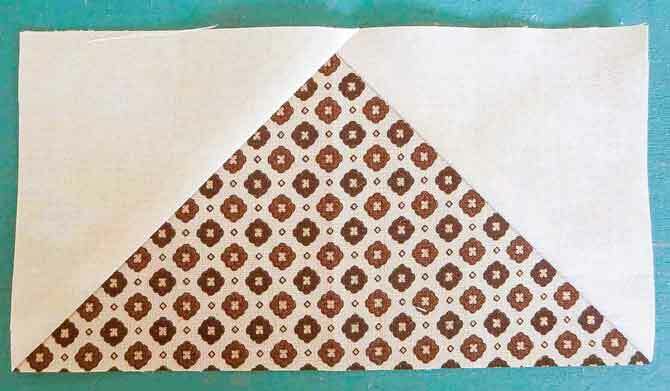 Join me tomorrow when we discover several ways to use the leftover half-square triangles! Stay tuned! I am crazy about Bloc Loc rulers. What other ones have you tried? I have the HST, the FG and the strip set. Tell me about any others you have.